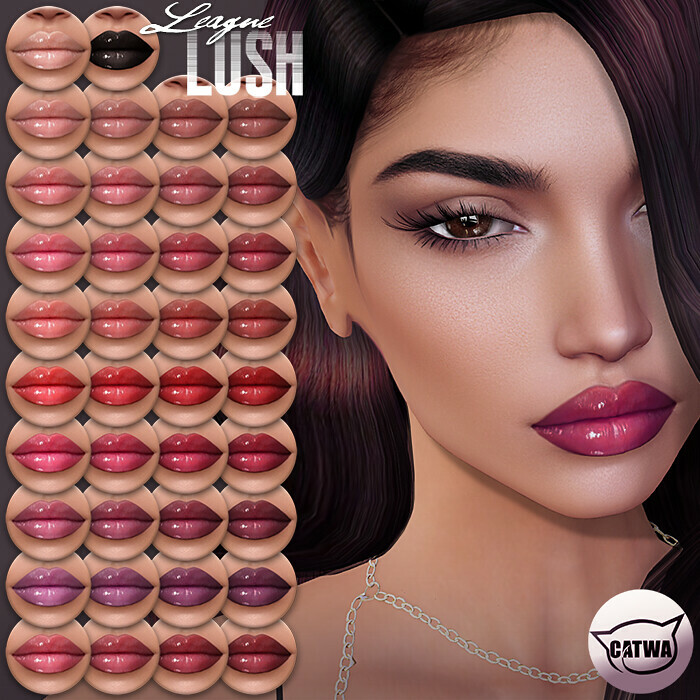 This new Lush Lipgloss for Catwa heads comes in a bumper discount pack including colours and shades for all skin tones, try the Demos in store now! *You can adjust your lipsticks via the Catwa Main Hud. If a lipstick or colour looks too strong a contrast on your skintone, adjust the Blend level on your Catwa Hud in the Lipstick Tab to slightly increase transparency and blend the lipstick into your skin for a softer, natural effect. Clear any adjustments from the Catwa Main Hud when you change lipsticks.